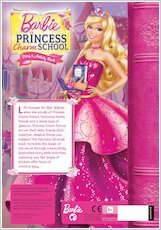 Barbie takes the lead role as young orphan Blair in these star-spangled activities from a very royal school! Will Blair be unveiled as the rightful heir to the throne? Follow Barbie in her latest adventure as she plays an orphan girl who wins a scholarship to the Princess Charm School! Surrounded by royal-born girls, she can’t help feeling out of place. But could Blair turn out to be the rightful heir to the kingdom’s throne? 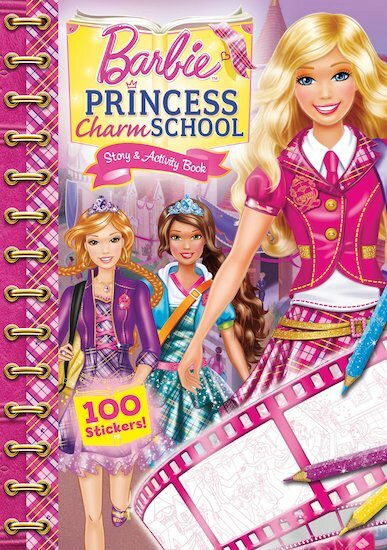 Take part in the adventure with these glorious activities, complete with 100 stickers – just the job for any princess! I actually watched this movie when I was a little and I still kind of like it. I really enjoyed the plot of it!